The original of all products. 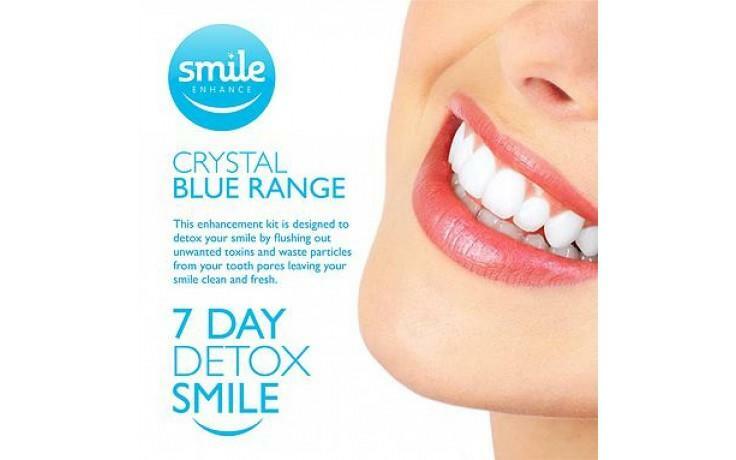 The 7 Day Smile Detox is the world famous stain removal home kit brand that has taken the world by storm. Including the number one stain removal technology Crystal Blue formula proudly owned by Smile Enhance, this product can not be purchased from any other company across the globe. Re-usable molds can be made and stored safe for product re-use. Stain Removal refresher kit can be purchased also. Includes - accelerator, cleansing fluid, Crystal Blue Fluid, Chart, Re-Usable molds.